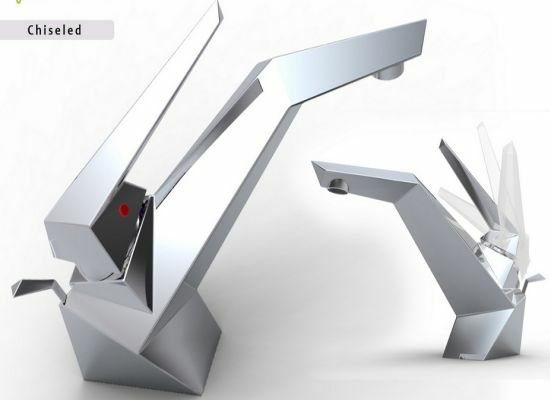 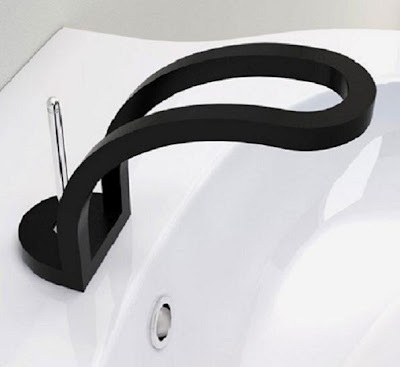 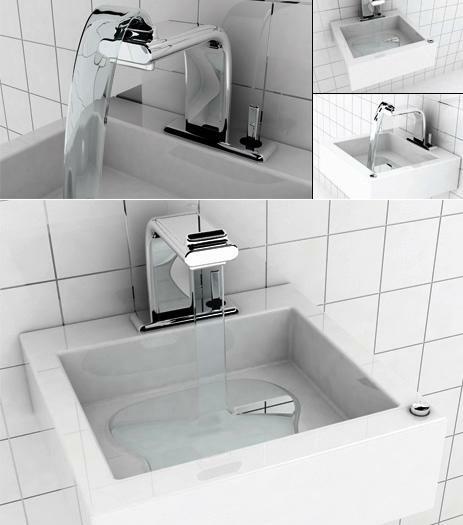 Collection of 'Modern Bathroom Faucets and Creative Kitchen Faucets' from all over the world. 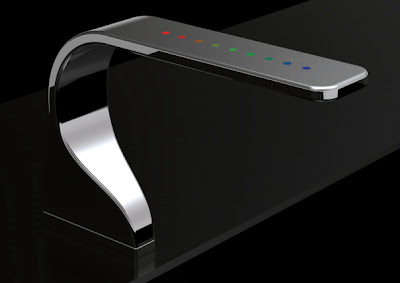 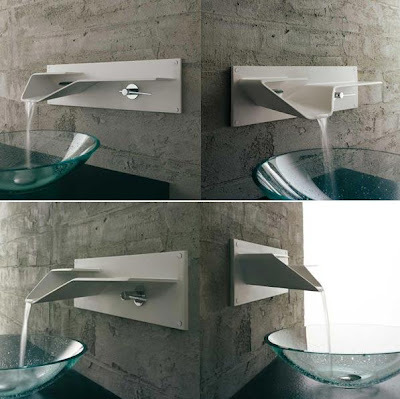 Fountaintab Faucet: What makes this faucet to stand out from the rest is that here the water flows upwards with a push of a button. 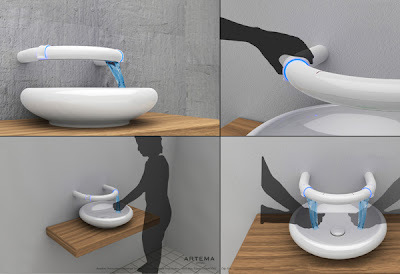 Duo Faucet: This futuristic faucet forms a half-ring over the washbasin; water flows in a circular fashion to the center or sides depending on the required temperature. 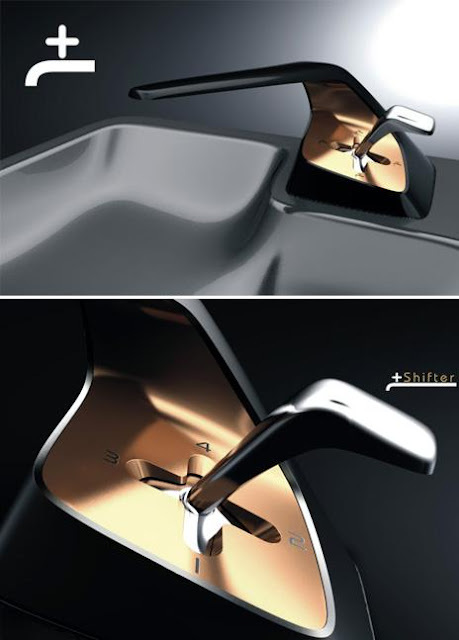 +Shifter Tap: The +Shifter faucet uses the system similar to the car's gearbox to change how much water we use. 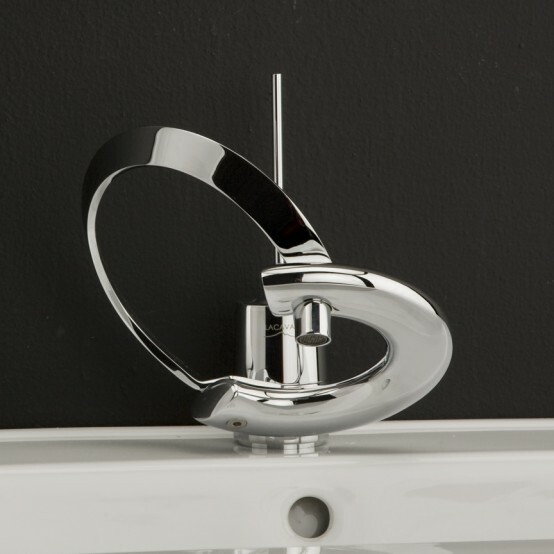 Faucet with Curved Lever: This beautiful polished chrome bathroom faucet comes with elegant curved single lever. 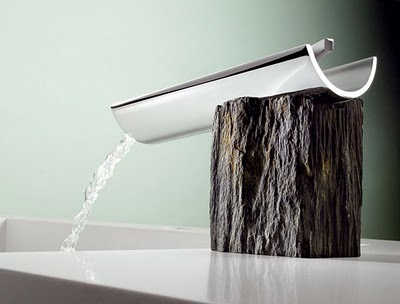 Chiseled Faucet: This Chiseled faucet comes from Sofian Tallal. 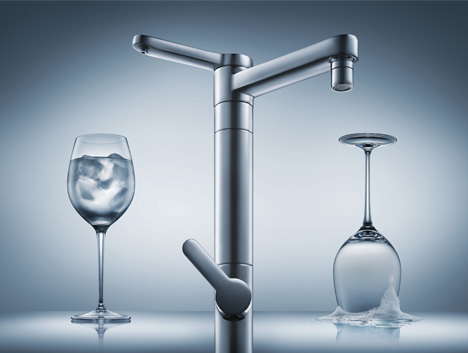 Kross Faucets: This thin faucet comes with rectangular aerator that produces a unique shaped stream of water. 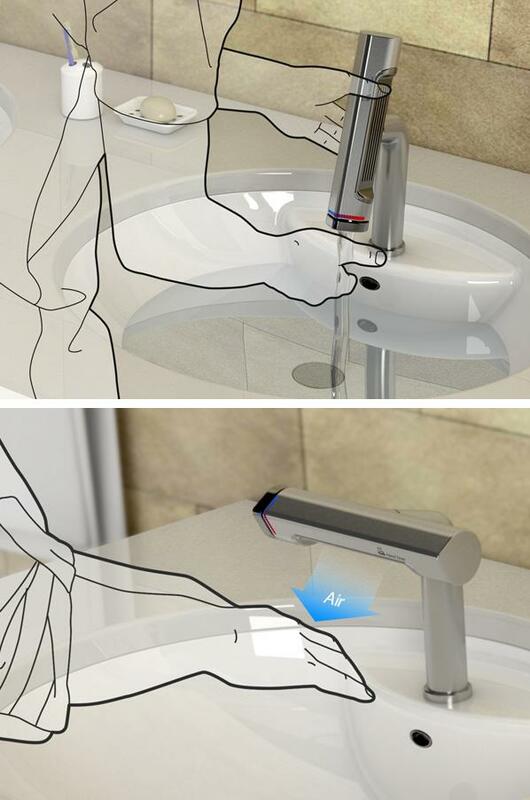 Twin Line: This faucet has two heads and comes with a filter. Easy Clean Faucet: You can turn on the faucet with a single press from where the water flows to the cascade and in the process, the faucet self cleans while you wash your hands clean. 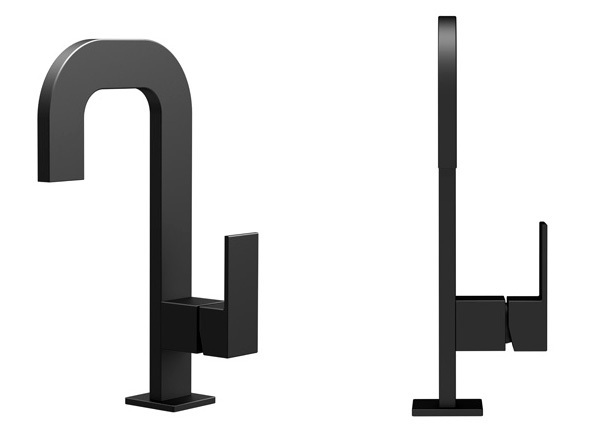 Philto Ultra Modern Faucet: This minimalist sculptural looking faucet emphasizes on aerodynamics and lightness. Pizarra Faucet: This faucet artfully combines elegance with natural materials. Glass Waterfall Faucet: Simple and elegant, this Glass bathroom faucet has the natural sound and beauty of falling water. Bathroom Faucet from Bandini: This faucet is a wall fixable design that allows water to fall in a wide, refreshing stream. 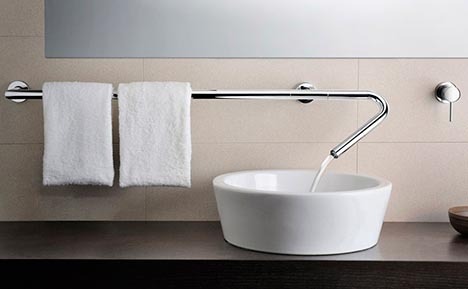 Do-It-Yourself Bathroom Faucet: This minimalist-yet-multifunctional design from Neve incorporates modules that can be assembled to create your own customized bathroom fixture design. 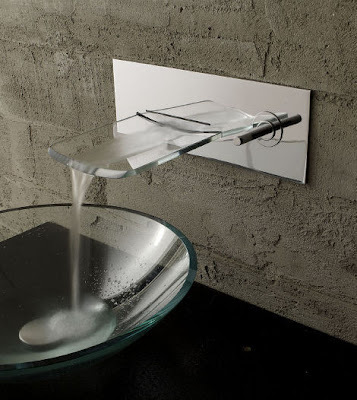 Don't miss to check out "15 Modern Bathroom Faucets and Creative Kitchen Faucets - Part: 1| 2| 3| 4."